Dr.Web Anti-Virus has been giving away unlimited amount of free 1 year license with genuine activation serial key for Dr.Web AntiVirus v6.0 in China. 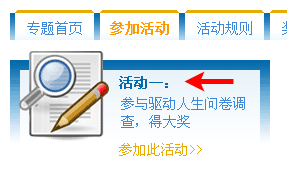 The license serial key is valid only for Simplified Chinese version of Dr.Web Anti-Virus v6.0. However, fear not, as everybody in the world is almost guarantee of Dr.Web Anti-Virus v6.0 free registration code as long as you’re able to finish all the questions on the registration website, as the license works for English version of Dr. Web Anti-Virus. Unfortunately, the license is not for the PRO version of Dr.Web Anti-Virus so firewall is not included. Protection against unknown threats powered by non-signature detection technology Origins Tracing and the intelligent heuristic analyzer. Protection against mass mailings performed by a mail worm from an infected machine. Protection of account information related to online games, social networks, electronic money systems, credit card numbers and PIN codes. Detection and neutralization of malware on hard drives, removable data storage devices and in RAM. Real-time interception of calls to files on hard and floppy drives, CD/DVD/Blue-ray/Flash drives, and smart cards. Detection of viruses placed in an archive at any nesting level. The FLY-CODE technology allows checking files compressed by unknown packers. Virus definitions automatic updates at hourly bases going up to twice per hour frequency at periods of high malware submissions. Dr.Web Anti-Virus version 6.0 is the newest version of Dr.Web AntiVirus that provides multilevel protection of the system memory, file system, and all removable media against all types of viruses, worms, trojans, spyware/adware, dialers and other malicious programs. In addition, scanning speed of Dr.Web anti-virus has increased by 30% compared with the previous version. Normally each license of Dr.Web Anti-Virus costs $33.90 to purchase. Fill out the information in the fields by getting indications from the image below. The users will then be presented with three options (activities) to participate in. Click on the option visible in the following image. 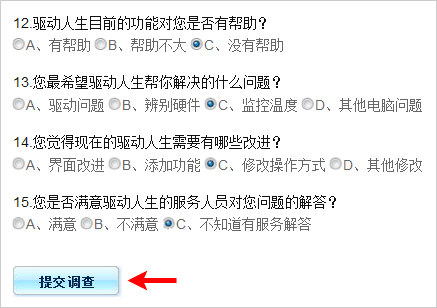 Simply select any of the options for every question and click the Submit button. The 6-digit activation code for Dr.Web anti-virus valid for 1 year licensed subscription period will be instantly displayed on screen. There are a few ways to register the serial key into the Dr.Web AntiVirus program. Method 1: Use the provided license key to register the software during installation by selecting “Receive key file during installation”. Then during setup, user will be given opportunity to choose “Obtain a license key file” to enter the serial number. Method 2: Install the software, then inside the program, click on Dr. web Antivirus -> Register License, then enter the serial key to get drweb32.key file. After installation, right-click on Dr. Web Anti-Virus for Windows’ system tray icon, select “Updater”, go to “Settings”, and select “Update virus databases only” for the “Update Mode”, and click “OK”. Note: If you do not do this, Dr. Web Anti-virus for Windows will revert back to v5.0 instead of continuing at the latest v6.0. The new version Dr.Web anti-virus is compatible with Windows 2000 SP4 (32- and 64-bit), Windows Vista, Windows XP, and Windows 7. Check out other free anti-virus licenses promo.